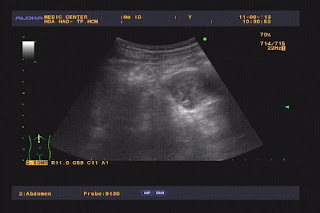 Ultrasound check up a 62 yo man , who underwent prostatectomy for 5 years, detected one hypoechoic epigastric mass, size of 5cm in relation with great curvature of stomach. Color Doppler showed vascular supply from gastric artery. Gastro-endoscopy detected no lesion inside stomach. 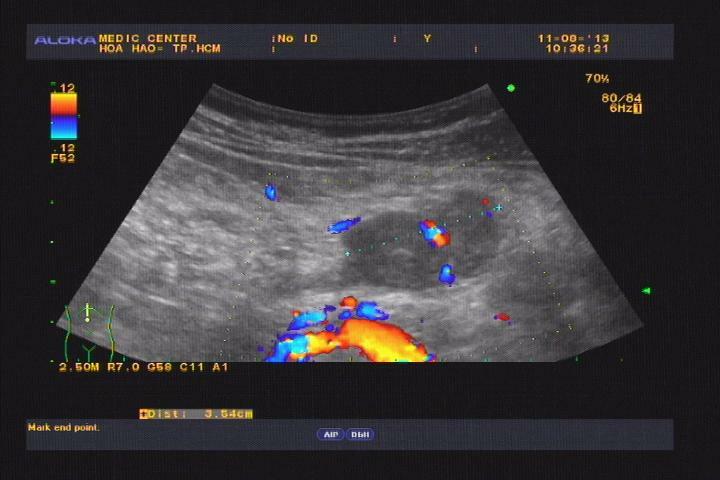 MSCT with CE showed this tumor was from gastric wall, and pediculated. Blood test were normal all cancer markers: PSA, CEA , CA 19-9, CA 72-4. 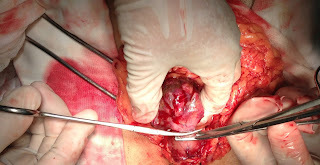 Operation laparotomy..showed this tumor is from the great curvature of stomach with long pedicule. Resection tumor see macroscopy, wait for microscopic report.